I was born in Eagle, Colorado. Then at age 3 our family moved to Nevada to live on my Uncle’s cattle ranch which my father and Aunts and Uncles would help to run. It was a large property in the middle of the Nevada deserts just outside of Eureka Nevada. There were lots of wide open spaces to play in and I was a bit young at the time but my brothers would go on long cattle drives and would brand cattle etc. Later we moved to a smaller but similar property and situation just outside of Wells, Nevada and there we stayed until I was in the 9th grade. We then moved to Orem, Utah and there I finished out my high school years. It was a bit of a culture shock for me since I went from a class of 18 or 19 people to a class of over 500. But moving to an urban area would also bring more opportunities for me as an artist later so that worked out pretty good. I can’t remember a time when I didn’t want to be an Artist/Animator. Like most kids at the time, I was raised on traditional Disney movies and thought they were amazing and decided at an early age that’s what I wanted to do. Every Sunday we would look forward to watching The Wonderful World of Disney. I was a Big Don Bluth fan too when his movies came out in the 80s. In fact I very briefly got to meet him when he was promoting “All Dogs go to Heaven” at a local theatre and that was a big deal for me. It’s too bad that film and his later films were not up to par like some of their earlier ones. Q: What did your school (Cal Arts) offer that helped you in your career opportunities? 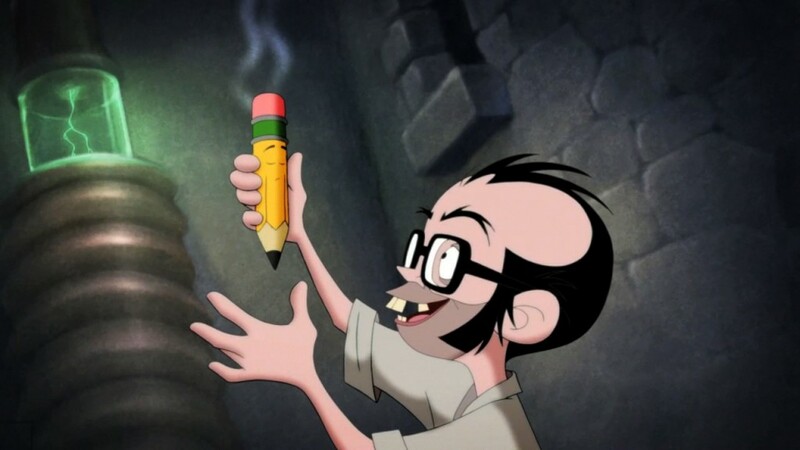 It’s funny but on my first day of animation class at Cal Arts, I was a bit disappointed because my teacher, Kevin Johnson looked like one of us students and I was expecting to be taught by some wise old animator like Frank Thomas or Ollie Johnston. I thought to myself, he looks a lot like Matt Damon (and he does by the way). Anyways he was a great teacher and many of the methods that he used in teaching us are what I employ when I’m teaching also. So yes, he had a great influence on me that first year among other good teachers. But really the unique thing about Cal Arts is that it gives you a platform with which you can be noticed and showcase yourself to the industry. I mean every major animation company comes to the Cal Arts Producer’s Show every year looking for the up and coming talent. I knew that my student films would be the most important thing in getting noticed and to stand out for that matter. After the Producers show in 95’ I got offers of employment from several companies but I took what I thought was the best offer which was from the newly formed Warner Brothers Feature Animation division to be headed up by Max Howard. And so there is where I started my career. 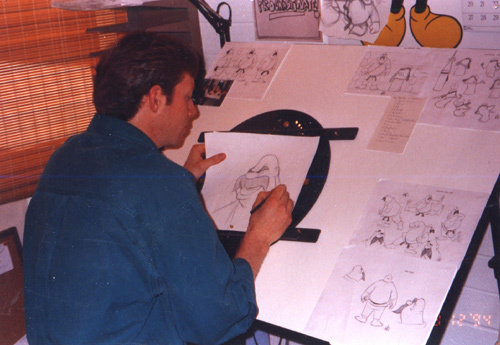 My first job in the industry was at Warner Brothers Feature Animation in the summer of 1995 and that was a very exciting time just after Lion King had come out and done so well in the theatres and all the studios were starting up animation companies hoping to duplicate Disney’s record breaking success. The Warner Brothers training program was excellent. We had classes and workshops in acting, drawing, design and animation. It was a great opportunity to learn in a comfortable environment and so many talented people around to inspire me. I had 3 mentors, the first was Wendy Purdue and she was so good at helping to get a meaningful performance out of a character especially in her own work. My next Mentor was Nassos Vakalis and I learned design and drawing from him as he would correct my bland drawings and give them more style. And my last Mentor before I became a full-fledged animator was Crystal Klabunde. She did some of the best animation I’ve ever seen on the character Ruber as we were ramping up doing tests on potential actors voices. I learned a lot while watching her construct a character and how to build a natural looking pose from the inside out. I learned far more from my mentors doing a drawing on top of mine than from anything that they said. I remember some great advice from our director Bill Kroyer when he was talking to all the trainees. He said “If you really want to be a successful animator, do more than what you are paid for.” I think that is a good rule of thumb for everyone. Q: Your first assignment to animate, were you nervous? What character? film? how long was the scene…. what was the feedback? Did it get approved? 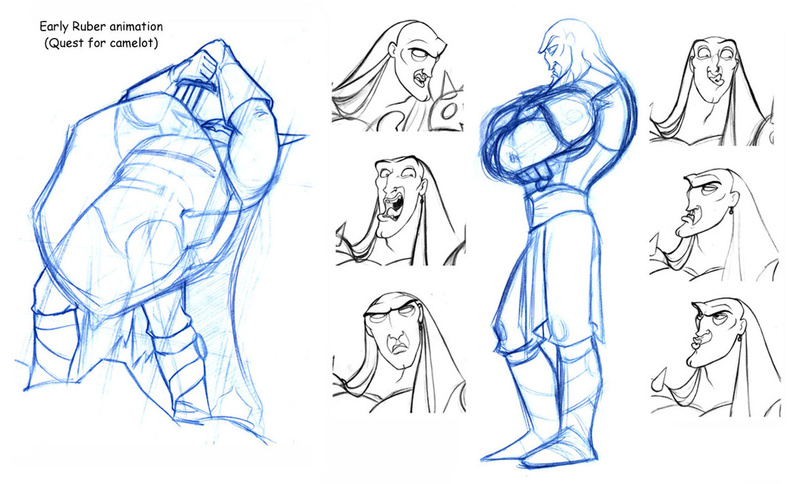 My very first professional scene that I animated on was the Villian Ruber for The Quest for Camelot. There was a 5 minute prologue that I worked on which later got scrapped from the movie. My first scenes were in that scrapped prologue which never was shown in theatres. It’s too bad because it was far better than what they had replaced it with. I was more excited than nervous because I got some really cool scenes to work on. The prologue centered around stone henge where all the clans were gathered to see the sword in the stone and try and pull it out. All failed and then came Ruber a powerful barbarian on his horse and so it was my job to make Ruber attempt to take the sword from the stone. My first scene was a close up of his hands wrapping around the sword and lifting up on the handle and as an audience we are thinking that he’s actually pulling it out out but then we cut to a wider shot revealing that he is actually lifting the whole sword with the stone clear off the ground. Then he lets go of the whole thing as it comes crashing to the ground and shakes the earth. But I learned how to do a stagger with that piece of animation. And that was my first time working with a 3D element also because the stone as he lifted it off the ground was a 3D element so we had to match that up. Another scene that I got to animate on in that sequence was him drawing his sword while in battle and that was pretty Awesome. Bill Kroyer was directing and he had some timing suggestions when I showed the roughs but other than that they were approved the second time around. It’s always really nerve racking when you show to the director. Especially when everyone is gathered all together and it’s very public but that’s just part of the business, and you have to learn very early in your career how to take criticism. And more importantly how to “listen” to what the director is trying to tell you. Because there is nothing that will get the director more mad at you than if you can not follow his instructions and can’t deliver what he/she wants in two or three takes. Q: Working for studios like Warner Bros, Dreamworks & Disney.. How was studio life? Perks or hardships? Studio life is awesome. I mean you get to go work on some of the greatest film projects in the world. It’s always nice working for the big studios because there is a steady pay check and stability that you can count on at least during the duration of the project. Some might find it stifling because you are working on someone elses movie, but for me I found a great deal of personal expression in every scene and character that I got to work on. It’s also nice because in a big studio you are working alongside the best in the business and I think a healthy competitive environment is good for growth. It can be stressful for the same reason but all in all I enjoyed it very much and would do it again in a heartbeat if the right opportunity presented itself. Having your own studio has it’s perks also in that you have more freedom and opportunities to more widely express yourself I think. Q: Did you have particular goals in your animation career during your studio days to try to achieve? After Warner brothers shut down and I was out of work for a time I remember some useful advice from the great animator Tony Fucile who was the head of animation on The Iron Giant. He said to a group of us, “Never turn in a scene unless you are happy with it.” I translated that to mean that you better make sure that every scene that you do looks great before you hand it in and do not settle for less. So from that point in my career starting work at Sony and then later at Disney I decided to take that advice to heart and really buckle down and step up my efforts. And that was a turning point in my career for the better from that point on. No matter what I was working on no matter what it took I made sure that every scene looked good before I handed it in. Sometimes that meant working extra hours but I did it so that at the end of every project I could say that I gave it all I had 100 percent. Q: How did you receive the job to supervise/ train at Cal Arts and then on the overseas productions for the Home DVD market? 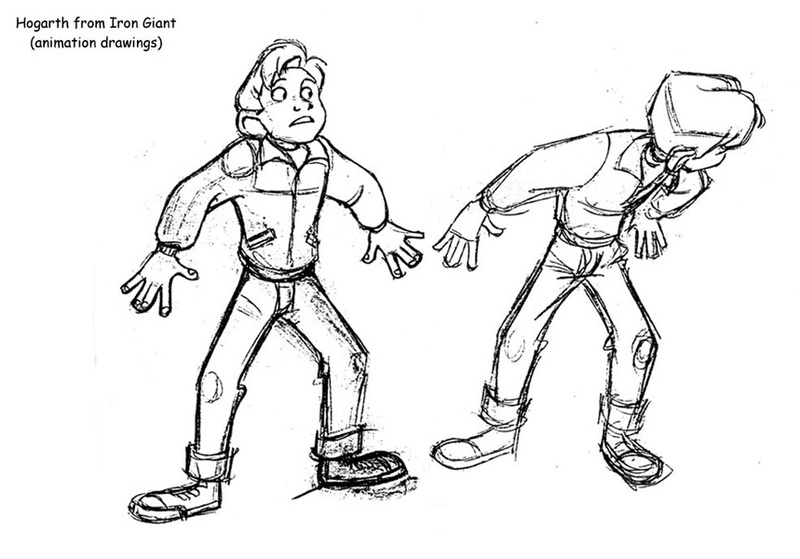 I kind of fell into teaching while working on the Iron Giant when, Mike Nguyen, a colleague of mine and who was teaching at Cal Arts in the evenings, asked if I would also teach an animation class there. My first reaction was no way but I ended up doing it and I’m very glad that I did. I did that for 4 years and then later while I was working at Disney I had another particular opportunity when one of their straight to video shows was in trouble. 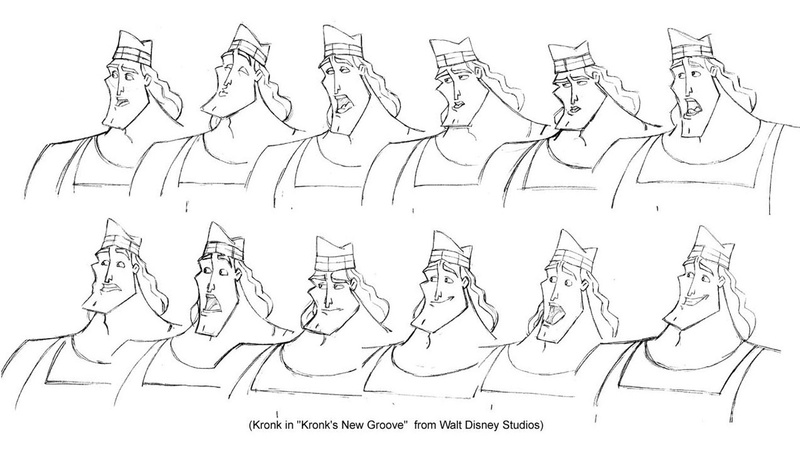 The overseas production company who was providing animation for Kronk’s New Groove was underperforming and so the producers and directors were trying to figure out the best solution for that problem. They made the decision to send someone over there to supervise the animation and train the animators in an attempt to improve the quality of the animation coming through because the work had already been contracted out. It was only supposed to be for 5 to 10 weeks which then grew to 3 months then 5 and finally I was there for 4 years and during that time I supervised and directed on many different shows and conducted many trainings and lectures. It gave me a chance to refine better my system for teaching and learning animation. Q: What was your favorite production that you worked on over your studio years? Character to animate? The Iron Giant hands down is the best film that I have worked on during my studio years but my favorite piece of animation that I’ve worked on was from Mickey’s Three Musketeers, Directed by Donovan Cook. 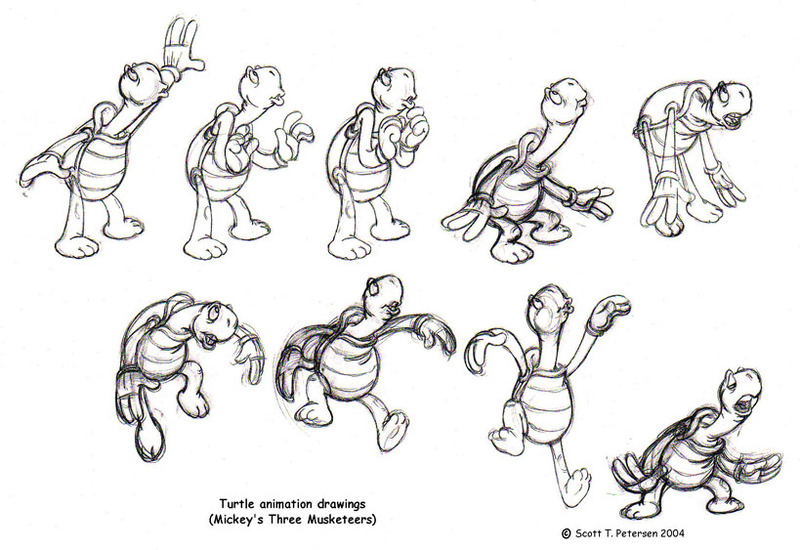 He gave me some great scenes to work on at the beginning of that movie with a fun little Turtle character. That little character literally came to life for me in my mind as I was flipping and animating him. In fact some of my co-workers would ketch me laughing at him while I was working on it. Q: You started your own studio. Tell about how one starts up a traditional animation studio. What is your goals to achieve with Golden Street productions? Well after returning to the states and seeing that there were not any 2D animation jobs out there. I took all our savings and started Golden Street Artworks as a means to sell my own artwork for a local nitch market. And then in our second year I started to advertise our production animation capabilities now calling the company Golden Street Animation. After a couple of months of advertising we landed our first feature film contract for a foreign movie called “True Heroes” for which we employed over 200 people on that show both in the states and in our Manila studio. In addition, we’ve provided story board work for 3 different television series this year as well as other pre-production artwork and corporate commercials etc. It’s a lot of pressure running your own studio trying to keep business flowing in but it’s also very rewarding. Our biggest challenge is Marketing and getting the word out about us and what we can provide for our clients. As far goals we want to achieve as a company. Well, thus far we have been a service company primarily but I want to get to the point where we can sell and produce our own original shows and intellectual properties. In fact we’ve started to go down that road a little bit and have several projects of our own that we’ve done a lot of work on. Q: For those that can’t afford a school like Cal Arts, what would be your advice to pursue animation/build a portfolio? I was dirt poor when I got accepted to Cal Arts and I just had to get a bunch of student loans which helped to get me through. Most people do the same thing. I worked in the library while I was attending there which gave me some cash for living. Q: Tell us a bit about your animation training series? They are some of the best “how to” videos created for the budding animators that I’ve seen. How & why did they start? Do you have plan for more of the series? First of all, thank you for your compliment. Well, there are several DVD series and books out there other than mine, but I felt like I had a unique approach and perspective to share from my own experiences. And I thought that I had an approach that a lot of people would really connect with and that it would be a very useful tool for schools and students and studios for that matter. And then we’ll start the more advanced stuff. Q: Are you gonna return to CTN this year? Yes I am planning on it and I’ve enjoyed attending for the last 2 years. Q: Traditional animation is in a slump in the US. What would be your formula to revive it again? First, I think it’s important to analyze what caused the down turn in the first place. 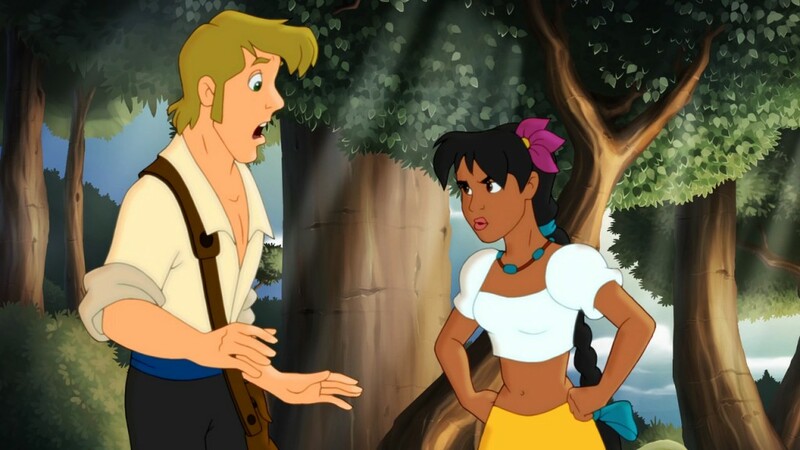 In my opinion the 2D films that Disney and the other studios were putting out from about the time of Emporer’s New Groove and later, (with some exceptions) were not connecting as much with audiences and simply not as appealing in both story and subject matter. And in contrast at the same time Pixar was on the up rise making great films and so executives equated that with an audience rejection of the 2D medium in preference to computer animated films. Well we all know that’s BALONEY, but try and convince a high powered executive of that. It certainly was NOT the 2D medium that audiences didn’t like. What would be my formula to revive the 2D medium again? I think it would take a pretty awesome movie! It would certainly take a movie that would really capture the worlds attention and imagination in the same way that The Little Mermaid did in 89’. That film had an amazing phenomenal effect on audiences and the reasons why can be debated but it did start a whole new era or revolution for animation if you will. I’m not saying that we should use the same filmic formula as that but it would certainly take a film with similar mass appeal to revive the medium. We all had such great hopes for The Princess and the Frog but it did not have the same effect for reasons that can also be debated. I do believe that it’s only a matter of time before some visionary comes up with a great concept and one of the studios agrees to back it and if all the right talent and elements are brought together again, Bam!, lightning will strike and all the studios will dog pile, as they always do to scramble to find the best 2D animators available. By then we might all be animating on Cintiques or the like but they say history repeats itself and I’m sure it will here also. As far as a formula goes, I would say that you have to start with a winning concept or story of course. Next putting all the right talent together is paramount in all the areas. Then I think, keeping the costs down in this case enough so that it has a chance to make a decent profit, or it will be another nail in the 2D coffin. Inflamed budgets are not necessarily essential for a great movie. In fact I’ve noticed in some cases when a director is given unlimited freedom and money that’s sometimes when he messes things up. 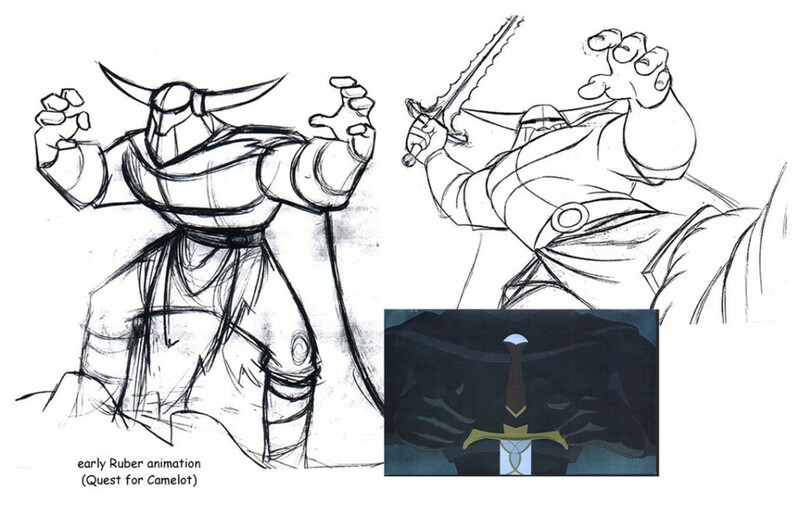 Q: And finally what is it about traditional animation that is special to you? 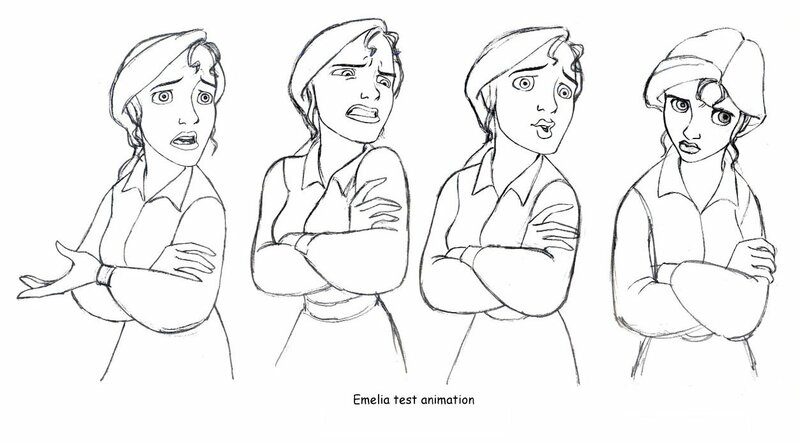 That’s easy, it’s the amazing drawings and how a skilled animator can bring it to life. That’s what has always drawn me to the medium. I still find it fascinating to watch drawings come to life at the hand of a skilled animator. I can enjoy CG movies also but there is a beauty and warmth that is unique to traditional hand drawn animation that I love. And I know that audiences will still love it too given half a chance once they see it coupled with an engaging story with relatable characters that they can connect with.